As we move quickly into the new year, it’s no surprise that technology is showing no signs of stopping, especially when it comes to technology in healthcare. As new advancements begin to be unveiled, more and more healthcare professionals will discover ways to streamline certain practices. We can expect to see the industry advancing at a rapid pace. The field of healthcare has historically been one of the last ones to adapt to any changes. However, it is now incorporating the technological advancements at an unprecedented pace. Let’s take a look below at some of the top healthcare technology trends for 2019. One of the biggest issues that many healthcare professionals face is simply not having the time or resources to reach patients in a timely matter. Whether it be overcrowding, lack of transportation, or simply living in a rural area, thousands of patients each year go too long without being seen by a healthcare professional. We’ve seen with the growth of technology that almost every household has some sort of smartphone or screen. This year, we’ll continue to see health professionals take advantage of this so they can reach more people. Telemedicine will give patients the opportunity to still get the proper care they need without having to actually see a health professional in person. Not only can patients use telehealth for initial visits, but they’ll also be able to use it for post-discharge checkups as well! AI isn’t just about machine learning and scary robots. In fact, when it comes to healthcare technology trends for 2019, it might be one of the most innovative advancements. Healthcare systems like EHRs will use AI to store, interpret, and produce medical information on patients. The long-term goal is to assist clinicians with decision support. It also reduces financial risk and establishes population health initiatives for chronic disease management and more. While we’re still a ways off of AI being fully integrated in healthcare, we can still expect to see it being integrated slowly this year. This will be seen in imaging technologies and certain EHR capabilities. VR and AR aren’t just about video games. In fact, they’ll be one of the most exciting healthcare technology trends for 2019. It will affect the education of students as well as information access. VR and AR will pave the way for new healthcare technology in 2019. One of the biggest impacts that this technology is in the training field. Instead of only being able to practice on cadavers, healthcare students will now be able to practice major surgeries via VR and AR. I think one of the most innovated uses of VR and AR will be in the physical therapy realm. This technology will be used to help alleviate phantom limb pain. This is a pain occurs when a person is missing a limb, but still feels pain in the location of the missing limb. This technology is used to make the patient make use of their missing limbs fby doing simple tasks virtually. By using sensors connected to the stump, it has shown to reduce pain relief. I’ve mentioned it earlier, but EHR technology will play a huge factor in the success of the healthcare industry in 2019. Gone are the days of folders and filing cabinets. Instead, all information storage has been replaced by a program that provides access to both health professionals and patients. 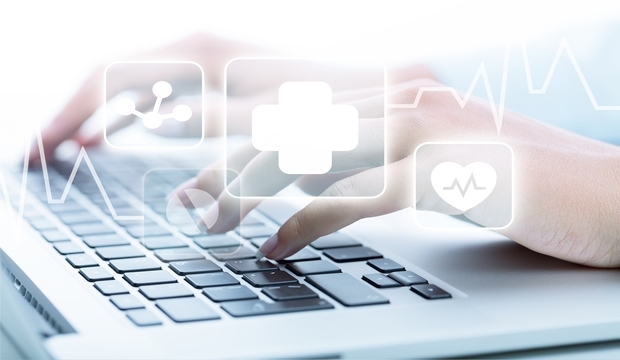 When it comes to the top healthcare technology trends for 2019, the continued implementation of EHRs will be incredibly important to the industry. It will free up time for health professionals by streamlining the recording process. It will also bring patients peace of mind by being able to access their own records at a moment’s notice. What are some other healthcare technology trends for 2019 that you’re looking for? Comment below! Also, if you’re looking for a new allied health adventure, feel free to check out the thousands of jobs we have to offer!